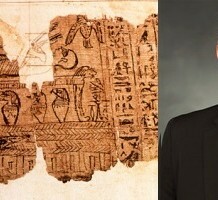 Today I sit down with LDS Scholar Brian Hauglid as we talk at length about the Book of Abraham. We speak at length about the historical issues with the the Book of Abraham and what we are to make of those complexities. I hope you enjoy this conversation and that it is helpful in your effort to both understand deeper issues while leading with faith! Bill, thanks for this amazing podcast With Brian. I’ve been hoping to hear his thoughts and reflections on the BoA for quite some time, and this podcast was a wonderful exploration of this very complex topic. Thank you both! I emailed Brother Hauglid and expressed my concerns. He was gracious enough to email me back. Obviously this blog” leading with faith” is uncomfortable with other points of view. I say that because you failed to print my prior comment expressing my view that Brother Hauglid’s comments were not consistent with the podcast. I did however very much enjoy both the moderators comment and Hauglid’s expression of faith based on choice rather than proof. Wow, you guys. Thank you for sharing your perspective. 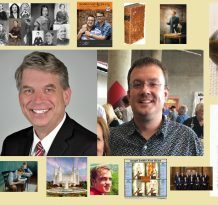 I feel Andrew Cooks and Chris Smiths articles challenge the viewpoint of Gee that there is a missing scroll.However I like Brian’s honesty about many of the issues.